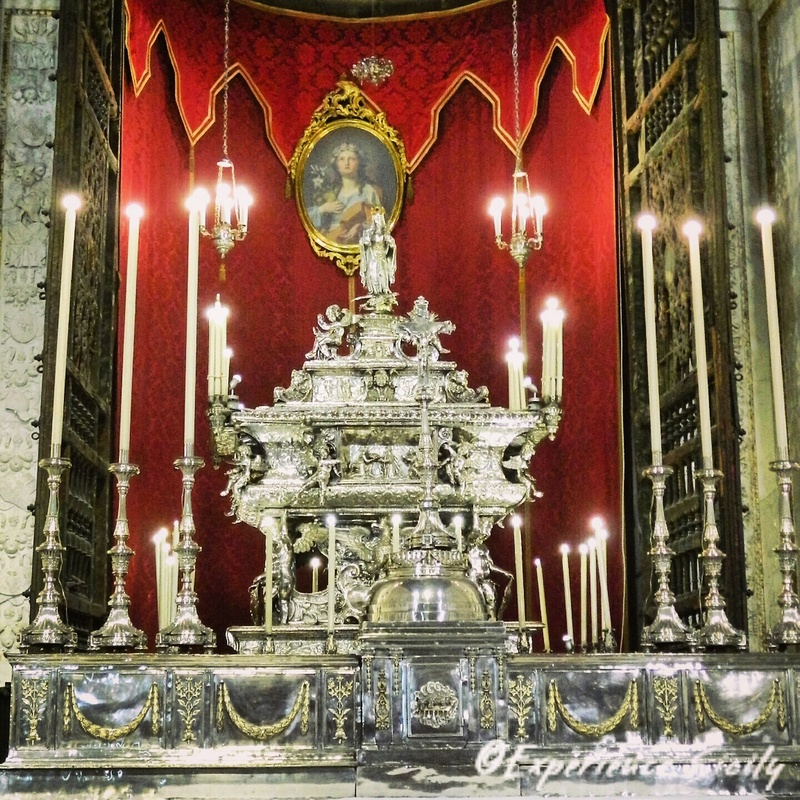 On July 15, after a day of masses, prayers, and concerts at the Cathedral, at 7 PM from the Cathedral on Corso Vittorio Emanuele II, the Archbishop and Mayor of Palermo will lead a solemn procession featuring the silver urn containing the sacred relics of Santa Rosalia. With the intention to reenact the purification of the city that Santa Rosalia instructed in 1624, civil and military groups, clergy, seminarians, and various parishes and confraternaties of Palermo, in addition to a number of marching bands, will accompany the sacred urn. They will walk from the Catthedral down Corso Vittorio Emanuele to Quattro Canti (the main intersection of the city), down Via Maqueda to the Discesa dei Giovenchi, then to Piazza S. Onofrio, and on to Via Panneria, Piazza Monte di Pietà (the first location of a shrine dedicated to “la Santuzza,” the Saint), and then return to the cathedral by way of Via Judica, Via Gioiamia, and Via M. Bonello. At 10:30 PM, once the relics return to the Cathedral, in its piazza, there will be a fireworks display. And thus concludes the 392nd Festino di Santa Rosalia, the Patroness of Palermo. Sounds beautiful. It’s interesting the coincidence of this ceremony with the events in Nice, France. I still can’t wrap my head around that. I always celebrated Bastille Day – singularly in this country, though it used to be noted more when I was a kid and teen. It’s basically the same as our Fourth of July celebration. A solemn procession indeed. Yes, peace to France! And peace be with you Dana!